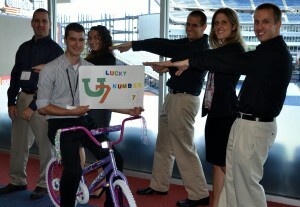 Raytheon, the genius behind many military advancements, met at Gillette Stadium, in Boston, Massachusetts, 10 years after 911, for a Build-A-Bike Team Building Event. Against the backdrop of the Patriot’s playing field, Raytheon’s newly hired engineers, put down their degrees and picked up wrenches, and screw drivers. It was all part of a team building event for these whiz kids who are ready to research and create new military products. They collaborated, laughed a lot, worked in teams, and competed just a little bit,to build bikes for kids of active servicemen, many on the other side of the globe. Military stories and tradition, seemed to weave their way into the program, bringing understanding to what some of the families, left behind, must feel. 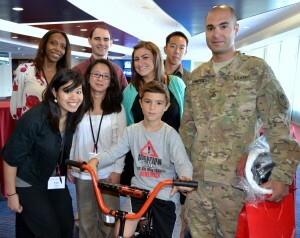 Surprise brought smiles, when kids and parents in uniform walked into the room. The soldiers, their dedication to America, and selfless choice to put themselves in harms way, spread a feeling of pride and caring into the event. The feel good gift went both ways. 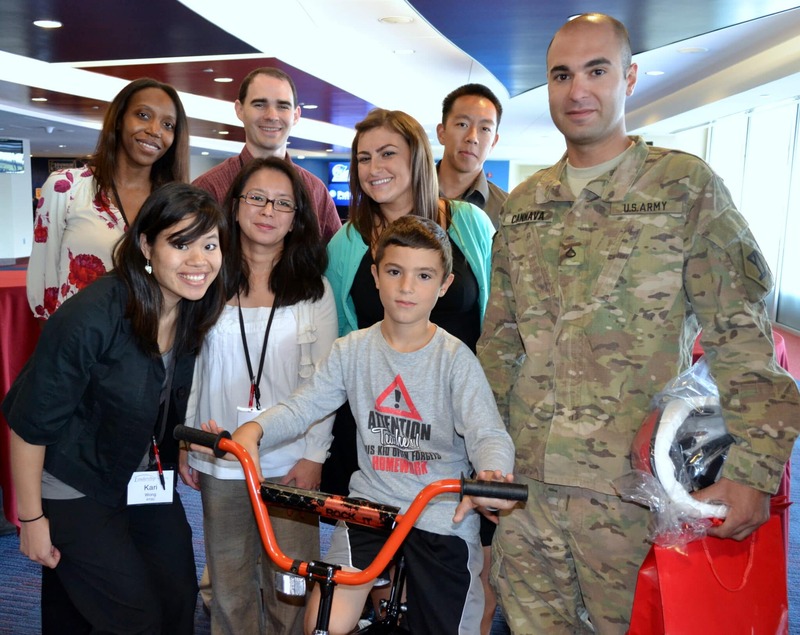 These kids met folks who cared enough to build them a bike, and learn more about leadership. Participants got close to the people in uniform, those who serve and defend with pride. Amid the applause, there were tears, and thanks. The date, September 11, seemed to be whispered like a shadow on the sun, reminding everyone of the day that 10 years earlier shook the world. On this day there was a renewed vigor, and pride in the greatest country in the world.